Inspiration is just an app away! 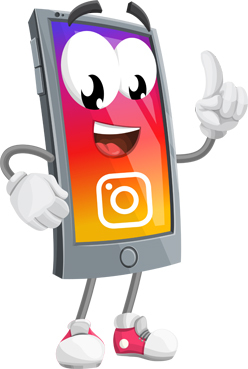 That’s right, everyone – we are talking about Instagram and the amazing Instagram art profiles that you can instantly follow. 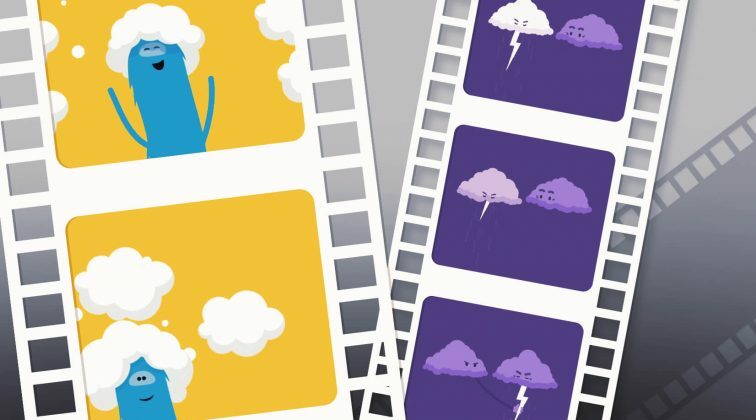 No matter if you are an avid fan of the platform already, or have just jumped aboard, getting the right content in your feed can become quite a challenge. With millions of profiles to follow on Instagram, finding your way around is not always a piece of cake. This is when the little magnifier and the hashtags come to the rescue! By using hashtags, you can easily find the type of content you are interested in. 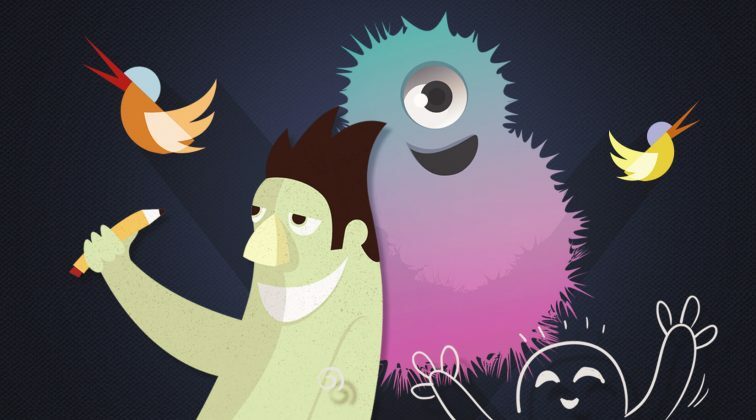 Vice versa, by adding hashtags to your own photos and videos, you help other users find them. The social networking app, where love comes in the form of a double-tap, is super trendy and popular, undoubtedly. With the community growing, Instagram expanded the options to share content, as well. Besides posting regular photos and videos, you can make live videos, create Instagram stories, and even send disappearing photos and videos in Direct. Based on 100% visual content, Instagram is the perfect source for anyone to draw inspiration while on the go. Today we present you 15 incredibly artistic profiles to follow on Instagram, all of which can provide you with your daily dose of artwork inspiration. No need to double-tap with excitement here, just keep scrolling to explore our selection. Inspiration can surely come in all kinds and shapes. 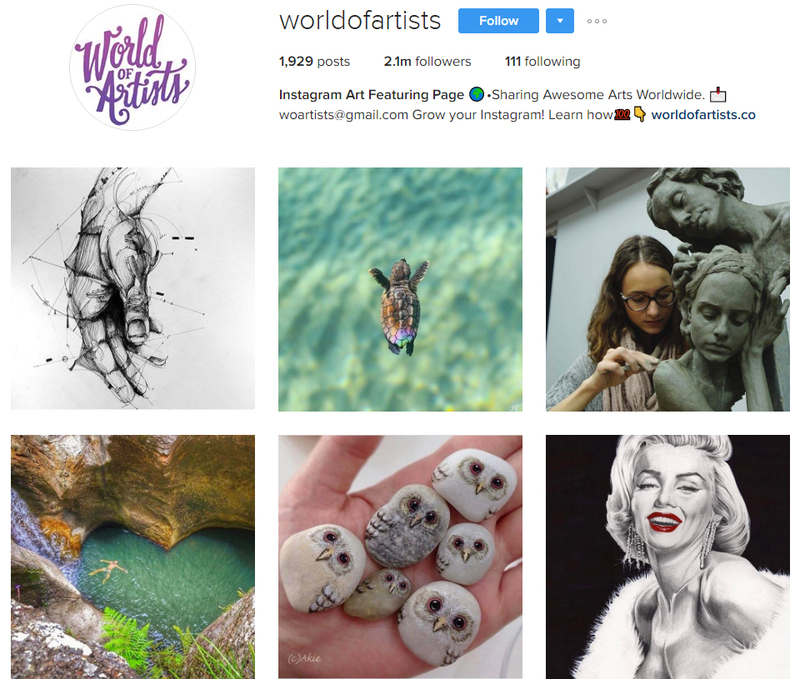 Art Wordly is an Instagram profile which has more than 1.5 millions followers. Wow! This is one of the art dedicated profiles to follow on Instagram which daily provides its followers with incredible art from around the world. Whether a designer, or a photographer, or an illustrator, you can also submit your art video or photo to Art Wordly and get recognition from so many fellow art lovers. Absolutely recommended! 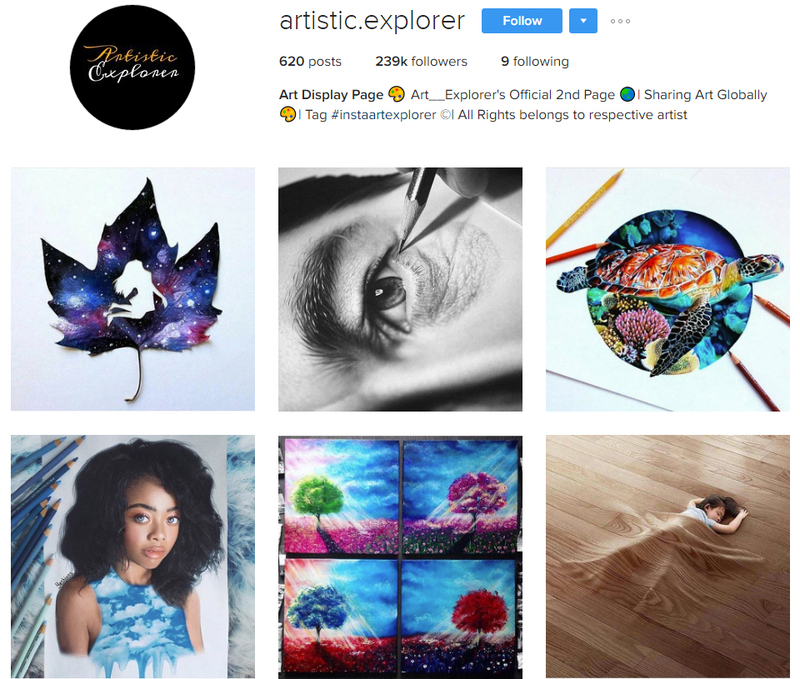 A profile that does not only teach all its followers the ins and outs of aesthetics by showcasing incredibly beautiful designs but it also gives all talented artists the opportunity to feature their work for free. 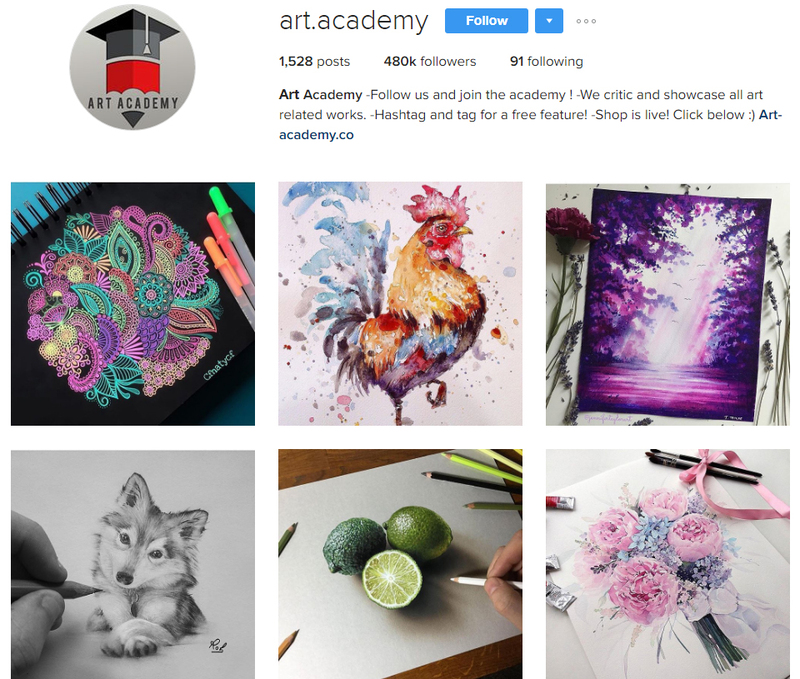 Art Academy is undoubtedly one of the must-have profiles to follow on Instagram if you are into illustrations. Filled with color, imagination and beautiful creations, this Instagram profile will recharge your creative powers to the fullest. Join the academy! 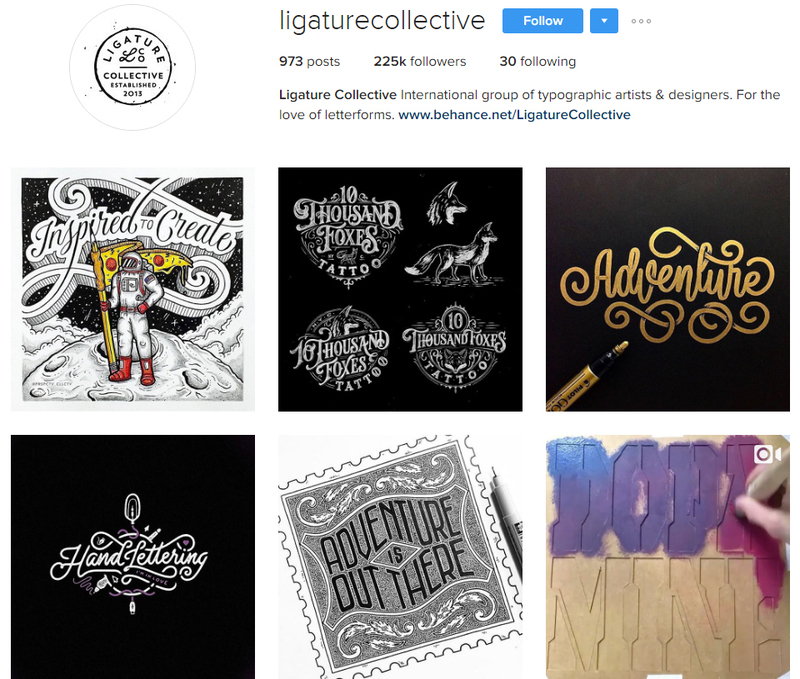 With 1 million followers, this is one of the profiles to follow on Instagram if you want to be up-to-date with what your fellow illustrators create. Featuring not only illustrations but all kinds of breathtaking artwork, this profile has all it takes to challenge your creative thinking. Providing incentives in the form of photos or videos, you will not only get super inspired but you get the opportunity to showcase your own work. What other reason do you need to start creating art yourself? Art is not only about illustrations, you know. 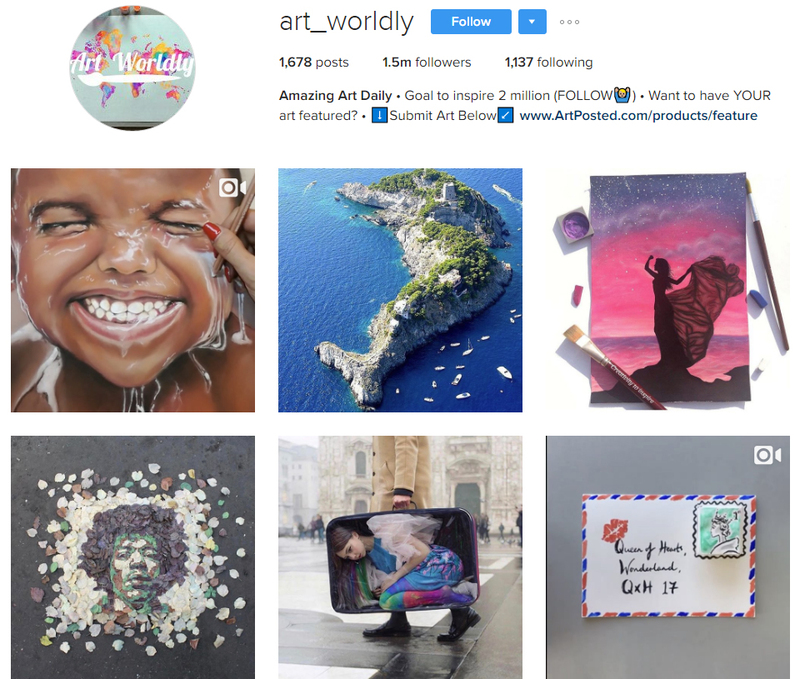 With the impressive amount of over 2 million followers, World of Artist is certainly among the most diversified Instagram art profiles to follow. What we love about this profile, is that it provides any kind of art, proving that inspiration can really strike you anywhere and can come from anything. 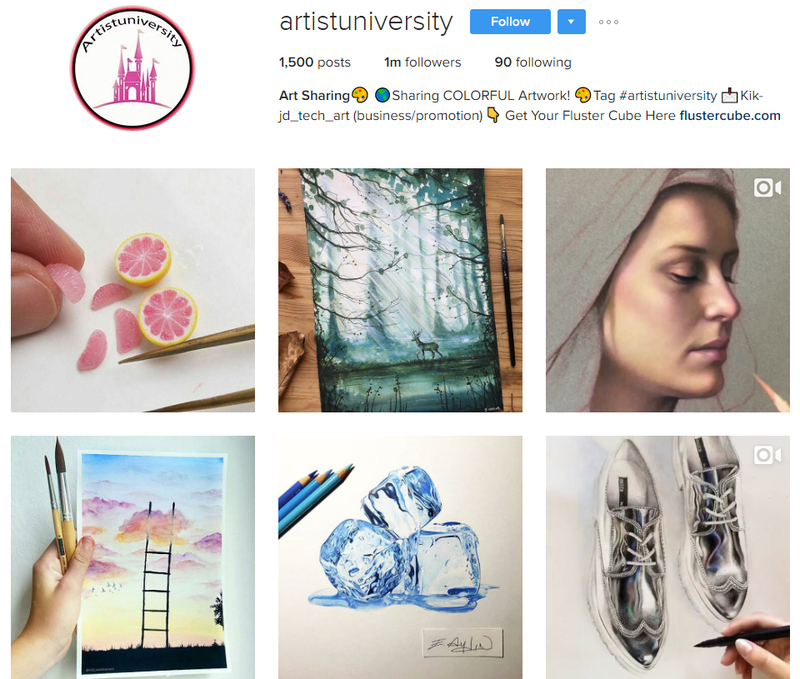 This Instagram page contains it all: from adorable, heart-melting artwork to mind-blowing masterpieces that will inspire you to roll up your sleeves and then, simply create. Sometimes all you need is “a whisper” of inspiration and your creative mind will do the rest! 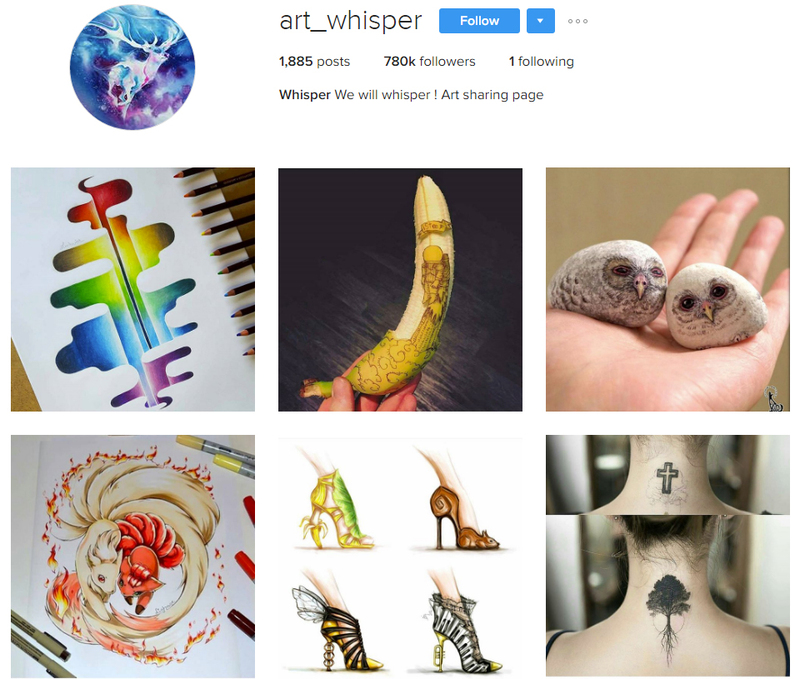 Art Whisper is a page dedicated to whispering inspiration in the form of beautiful art creations popping up in your Instagram feed. 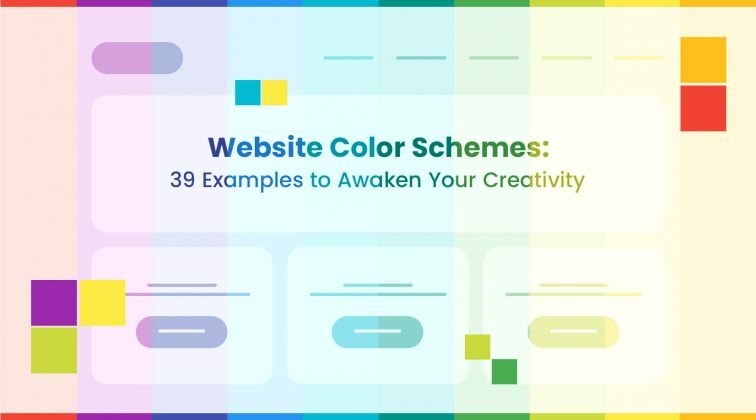 By posting several times a day, this page guarantees that it will keep your creativity levels high once you start following it. In addition to this, you have really high chances to get your own artwork showcased, as this profile features masterpieces from all art fields. A page gathering all kinds of artistic creations made by talented artists from all over the web. 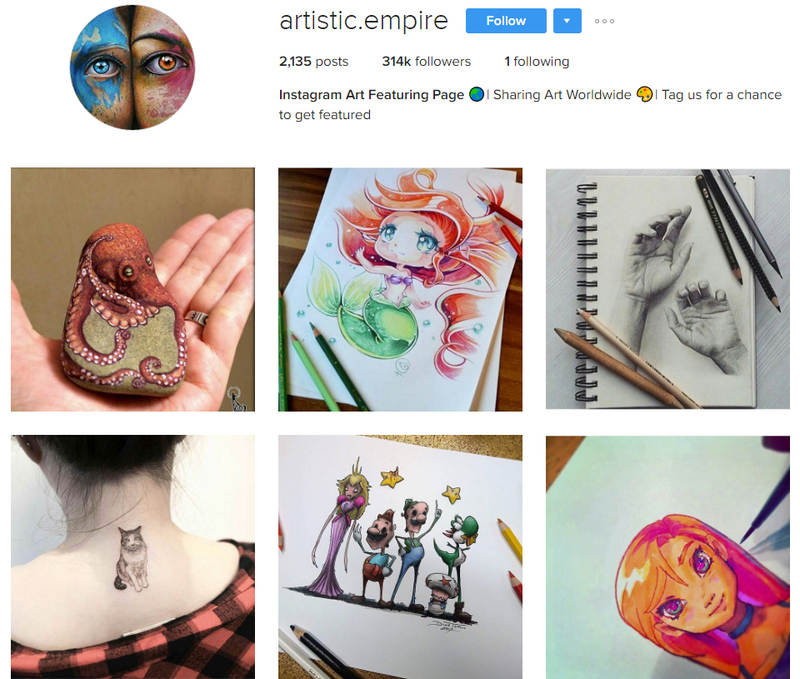 Artistic Empire is an awesome profile to follow on Instagram, whether or not you are just an art admirer, or you love creating art yourself. We at GraphicMama believe that everyone is an artist on the inside. Maybe this is the page which will help you find your kind of art! Giving the feeling of uniting all the artists from the world, regardless of age, gender and nationality, we highly recommend this page. Art is simply an universal language to speak! 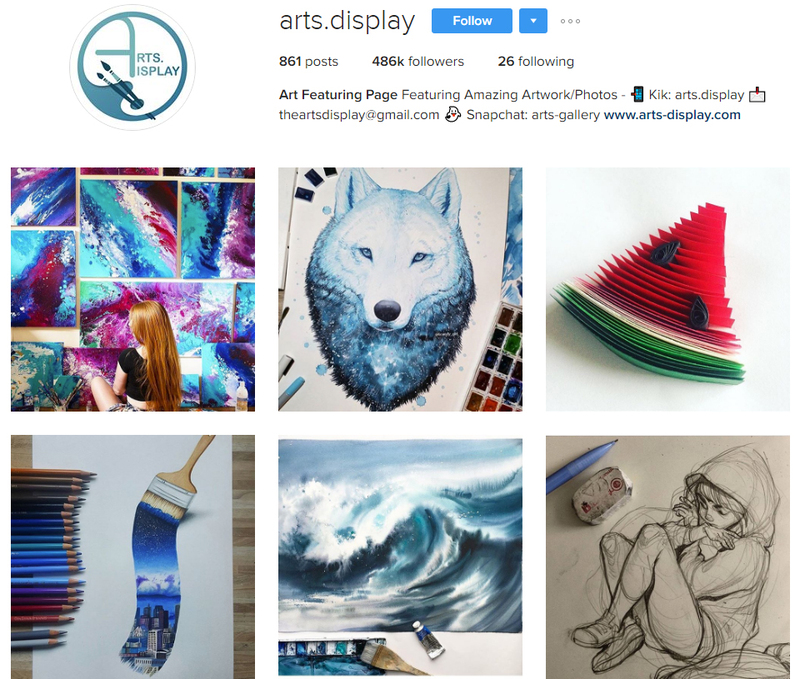 An Instagram profile showcasing beautiful graphic design and even more art creations. 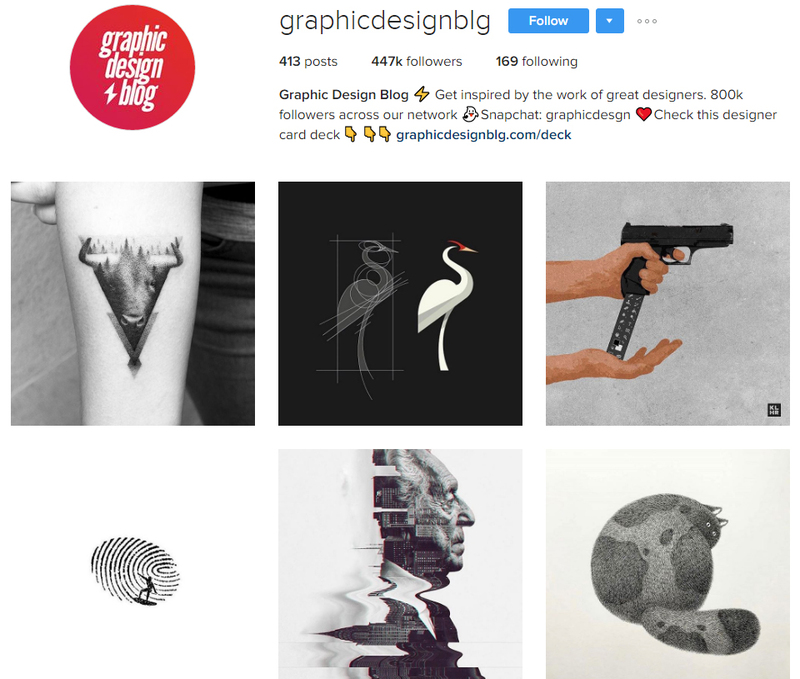 Graphic Design Blog is an incredibly good profile to follow on Instagram, created with the mission to inspire you with the work of great designers. Moreover, this page features work of illustrators and other artists whose work will visually stimulate your creative thinking. With almost half a million followers, this page is certainly worth following, so go check it out. As you can easily say by its name, this Instagram page is showcasing anything related to art. Arts Display is not only a place to draw inspiration from but it is also a great source of unconventional ideas. Considering it as one of the great profiles to follow on Instagram, this page will enrich your feed with both digital artworks and real-life art creations. Head over to take a quick look and hit the blue button above! An incredibly artistic page on Instagram which will take care of your high inspiration levels through the day. 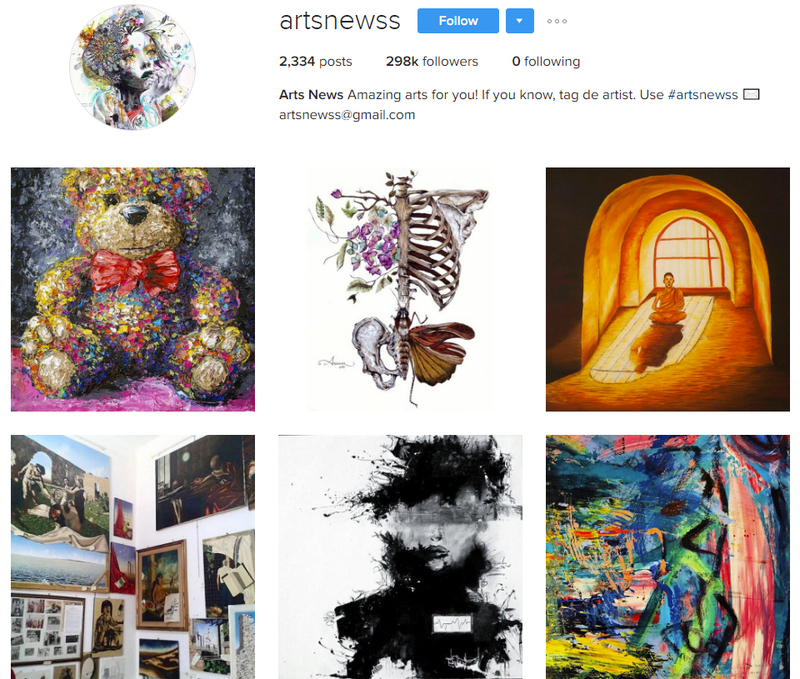 Art Newss is an Instagram profile that gathers art creations and illustrations from all over the web to present them to you right in your feed. As one of the most creative pages one can find on the popular visual social network, we put Art Newss among the must-have Instagram art profile to follow. A great profile that will fuel your day with creativity, positivism, and ideas. This is one of the artistic profiles to follow on Instagram if you don’t want your feed flooded with posts. Artistic Explorer posts amazing art masterpieces but only a few times a week. We highly recommend it for those of you who check their Instagram profile more rarely. On this page you will find illustrations, collages, photography, portraits and even more glamorous artwork. No room for hesitation, go ahead and give this page a shot. 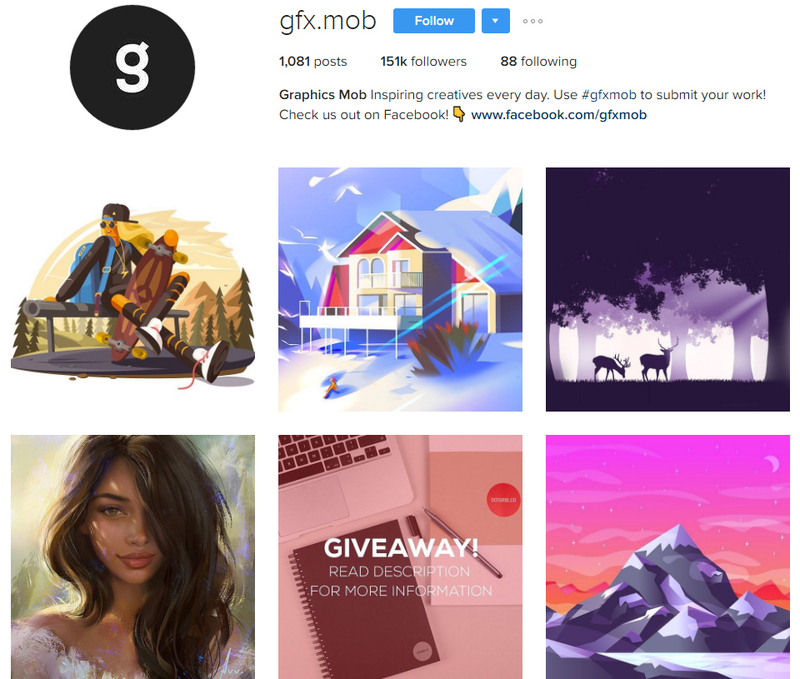 If you want photos and videos of mind-blowing graphic illustrations in your feed, then Graphic Mob will most certainly become one of your favorite Instagram art profiles to follow. It does not only feature artwork created by absolutely talented artists but it also communicates with its followers. The page regularly asks them questions to get to know them better and show them the best content. Being a real haven of digital art, we absolutely recommend you to have a look at this page. You can easily fall in love with its content. A page dedicated to designers and showcasing eye-pleasing creations every day. 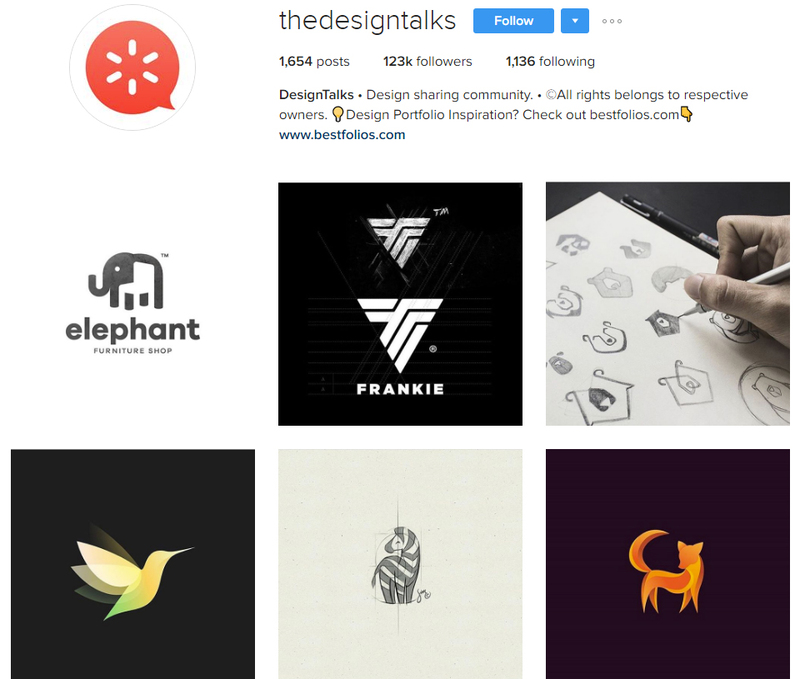 Featuring a bit different content from the previous Instagram profiles we’ve shown you, you will find a lot of minimalism, logo designs and sketches here. What else caught our eye is the motto this page puts on its posts: “Follow us to get best new design every day”. Sounds promising, doesn’t it? Go ahead and give it a try. 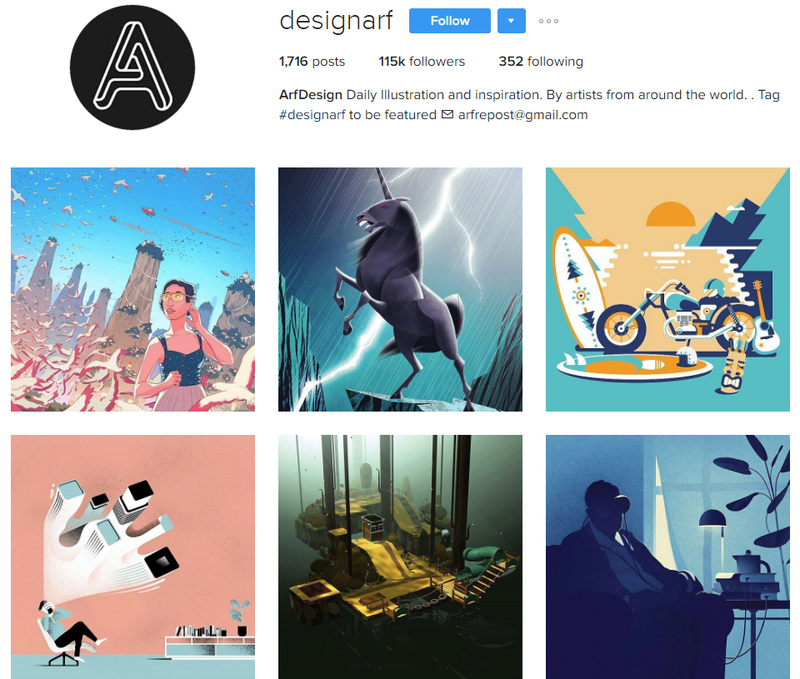 Graphic art, typography, collages, illustrations, animations… this Instagram profile features any kind of work holding the power to impress all its art and design lover followers. 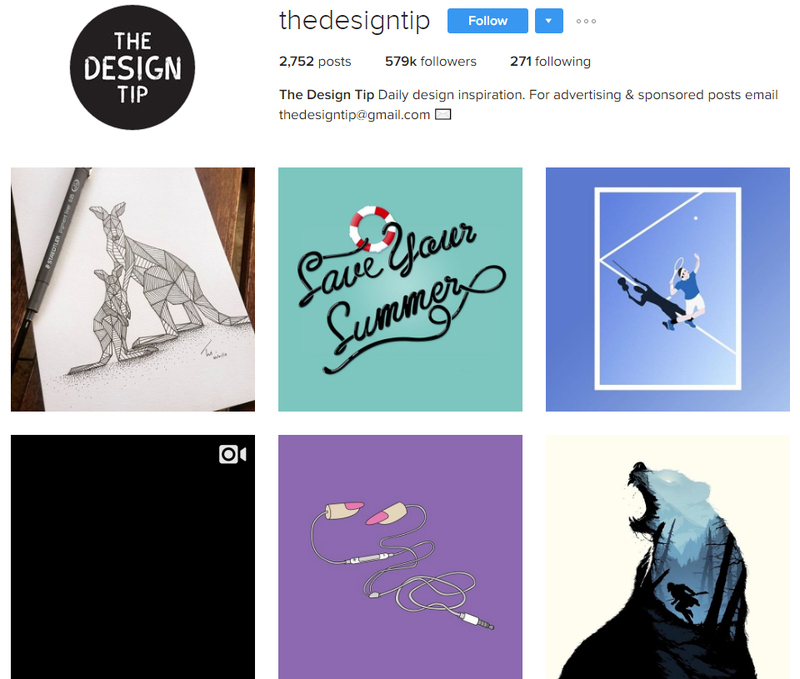 Besides joining your feed with a bunch of creative artwork, The Design Tip gives all its followers the opportunity for advertising and sponsored posts to help artists struggling for recognition. Go ahead and enjoy all the beauty that this Instagram page has gathered! If you are a typographic artist, a designer, or simply an admirer of good typography art, this page has all it takes to fuel you with inspiration recharge your creative batteries. Gathering typography artwork from all over the web and showcasing the creations of many talented typographists, this page has become one of our recommended profiles to follow on Instagram. With such an inspiring motto “For the love of letterforms”, this page certainly is one of the best for all typography lovers. Featuring illustrations by artists from around the world, ArfDesign is one of the Instagram art profiles to follow that regularly posts photos of artworks and provides their amazing artists with the recognition they deserve. Having gathered plenty of incredible artworks, Arf Design is a real source of inspiration for all illustrators who do not only need daily incentives to create amazing art but also want to be up-to-date with what their peers create. 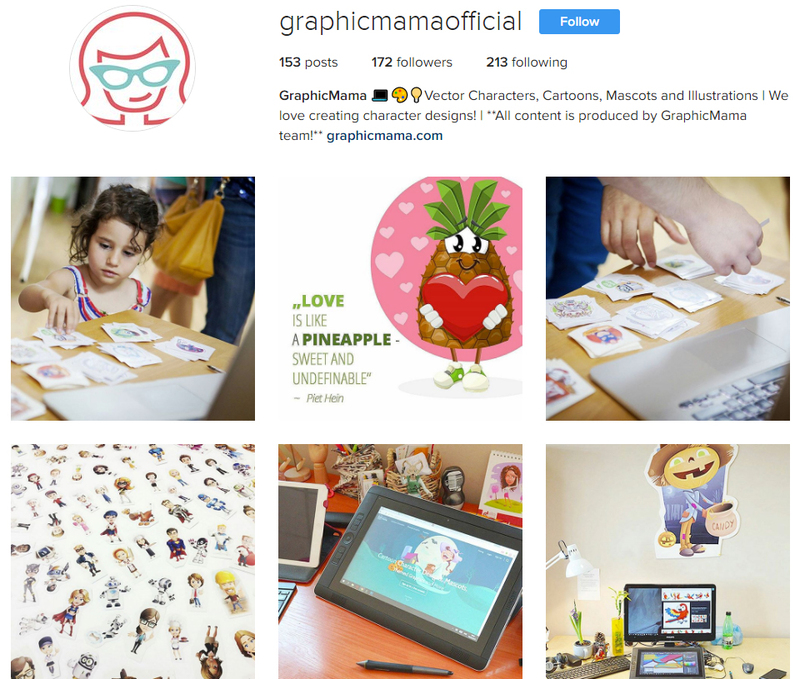 GraphicMama is on Instagram, too! We simply love this awesome social media platform dedicated to visual content. Being relatively new and steadily gaining speed, we are already enjoying every step of the journey. If you don’t want to miss out on all the buzz going on in our profile, come and follow us. We will keep you entertained with many behind-the-scenes office shots, simple every-day reminders, interesting facts and stories, and needless to say, plenty of graphic art. Hi! Thanks for the share!